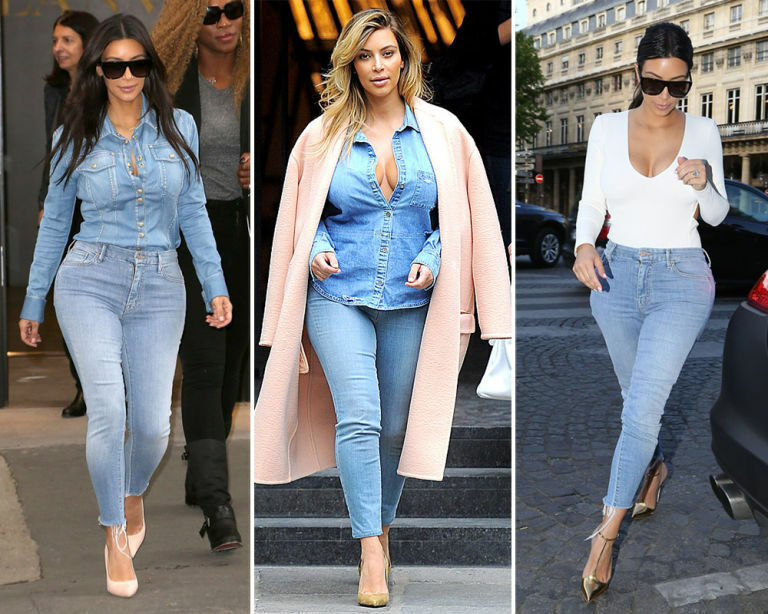 Kim Kardashian proves the key to great style isn’t adopting the latest trend; it’s knowing what works for you and sticking with it. Over and over and over again. Here are 15 of Kim K’s personal faves. 1. White crop top with matching pencil skirt and minimalist neutral sandals. 2. Black bodysuit under a sheer black dress with a black jacket. 3. Flesh-colored, knee-length, latex bodycon dress. 4. Sheer black top and black midi skirt. 5. Cropped white T-shirt and black pencil skirt. 6. Long camel coat and matching dress. 7. Light-wash, high-waisted denim with pointy-toed pumps. 8. Black leather jacket and black leggings. 9. White long-sleeved midi with wrap detail around the waist and hips. 10. Ripped black jeans, black T-shirt, and black leather moto jacket. 11. Black bra and high-waisted briefs under a sheer dress. 12. Black bandeau and black skirt. 13. High-necked sleeveless black dress. 14. White blazer and low-cut white top. 15. Black catsuit with plunging neckline. Hey! I know this is kinda off topic but I’d figured I’d ask. Would you be ittnreseed in trading links or maybe guest authoring a blog post or vice-versa? My website addresses a lot of the same subjects as yours and I feel we could greatly benefit from each other. If you happen to be ittnreseed feel free to send me an e-mail. I look forward to hearing from you! Excellent blog by the way!